With John Carpenters immortal classic Halloween celebrating its 35th anniversary this year, we thought what better way to celebrate than to check out the other, often over looked films in the long running franchise and bring you our definitive list on the top 5 best. Lets get started! Featuring a maskless Micheal Myers and David Lynch-esque visuals, Rob Zombies Halloween 2 is a very different beast from its predecessors. Essentially a story about Laurie Strode's descent into madness after encountering Myers one year prior, the artsy visuals and graphic violence make this entry into the franchise stand out for better or for worse, you decide which. Twenty years after the original Halloween, Jamie Lee Curtis had the idea of getting together the original cast and crew for a new Halloween film. Director John Carpenter was on board until his hefty fee of 10 million dollars to direct was rejected leaving Friday the 13th II and III director Steve Miner to take over directorial duties. 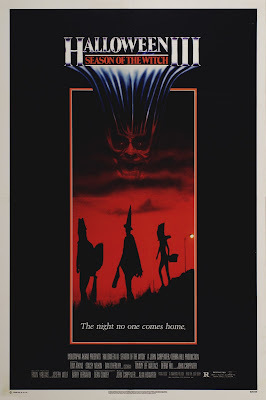 Ignoring Halloween's 4 to 6, H20 picks up after the events of 1981's Halloween II introducing us to Laurie Strode who is now the mother of a 17 year old boy John, and a cast of whole new fresh faces ready to be picked off by the boogeyman one by one. my only complaints are the four different mask's used during the production vary greatly in quality and accuracy and also the original musical score was altered and substituted with music from Scream. A bad choice, if you ask me as the music is an important key factor in creating the atmosphere for a Halloween flick. Nonetheless this is a fine sequel and certainly one of the less confusing ones. After mixed reactions to the Myer-less Halloween III, Moustapha Akkad decided it was time to take the franchise back to its basic elements, that being babysitters, mayhem and the indestructible Micheal Myers himself. With Jamie Lee Curtis not reprising her role as Laurie Strode and John Carpenter yet again not directing, the writers took this one in a new direction. Featuring Danielle Harris as Micheal's niece and Donald Pleasence as Dr Loomis, Moustapha Akkad paid close attention to the elements that went into this one and it shows. 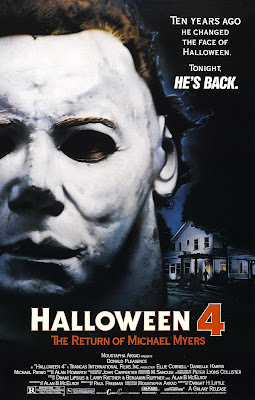 Generally considered a fan favorite Halloween 4 is essentially Halloween brought into the eighties decade, featuring more gore, a super strong Myers and terrific atmosphere throughout, its easy to see why this one ranks so high on many fans lists. Danielle Harris is terrific, as is her Jamie Lloyd character, its just a shame how things ended for her in Halloween : The Curse Of Micheal Myers. This one comes highly recommended. Undoubtedly some readers will disagree with this one taking the number two spot on our list, but quite frankly i dont give a damn. 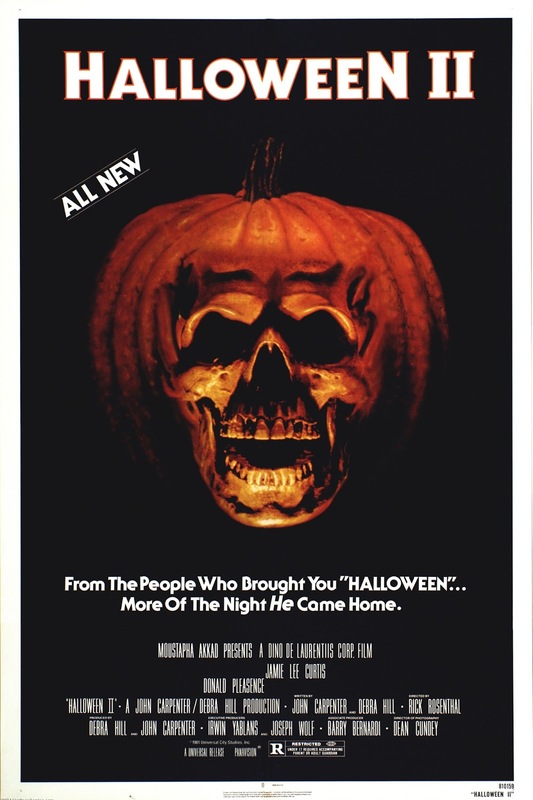 Producers John Carpenter and Debra Hill wanted to take Halloween in a different direction after Halloween II and start making stand alone movies set on or related to halloween using the Halloween moniker. This is the first and only movie we got using that concept. Rejected by fans at the time who wanted to see more Myers, Halloween III tells the story of a Halloween mask company and its intent to kill innocent children using Halloween masks. The movie has terrific atmosphere much like the first two installments in the franchise and John Carpenter and Alan Howarth's score is equally as atmospheric. For people not afraid of change Halloween III is a strong sequel and will perhaps one day gain the love it so rightfully deserves. 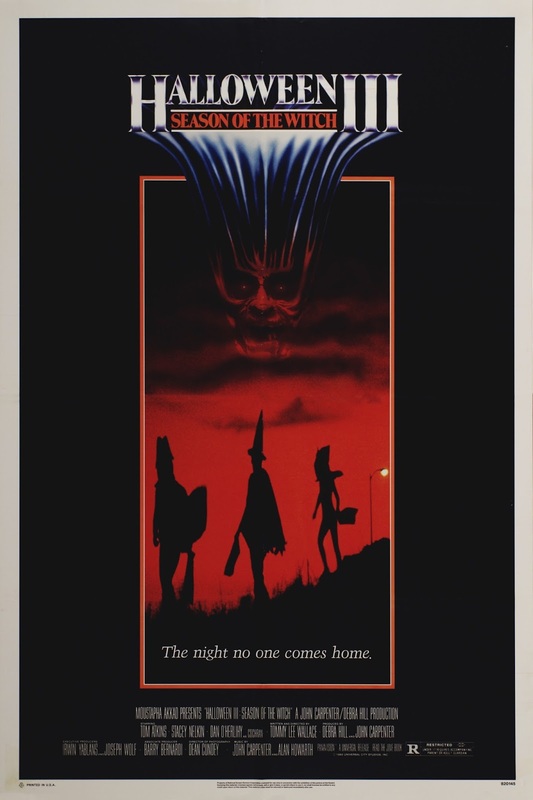 The tagline "More of the night he came home" sums up Halloween II in a nutshell. A direct continuation of the original Halloween, Halloween II picks up immediately after its predecessor with Dr Loomis still hot on Micheal Myers trail and Laurie Strode being transported to Haddonfield Memorial Hospital for treatment on her injuries sustained in the first film. 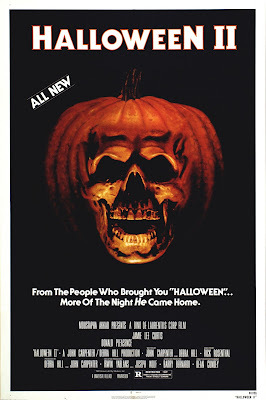 Halloween II is effective at continuing the storyline as well as keeping with the tone and aesthetics of the original. The Hospital setting works in the films favor and it is at times genuinely creepy, dark hallways and sparse staff make Haddonfield Memorial a very effective setting. This film also ups the ante on gore as Friday the 13th had just taken off and a little more of the red stuff was deemed necessary in order to appease audiences growing blood lust. Halloween II is essential viewing for fans of the original as it perfectly recaptures the atmosphere of the original and succesfully continues the story adding new twist and turns to the Halloween Mythos along the way. It also makes for great back to back viewing with the original, so have yourself a double feature this Halloween night!! There you have it, the Top 5 Halloween sequels. What are your favourite Halloween Sequels? Let us know in the comment section below, and be sure to have a Halloween marathon this fall to celebrate John Carpenters classic turning 35 years old! Awesome review , one of the best on the internet. Have you got any reviews coming for other classical horror movies ? Yes, Should have plenty more reviews of horror classics up soon. Thank you for reading. The future of The Terminator Franchise. The Top Five Superhero Movies Ever Made.